Innovation within the software giant used to happen 'organically'. More often than not, great ideas and products were simply acquired. Since 2010 CA has bought more than 20 companies. Two years ago, the company established an initiative to help nurture good ideas that came from the inside: an internal start-up accelerator program – dubbed the ‘the corporate Shark Tank’ by employees. Now, one of the accelerator’s start-ups – KnowThings.io – is about to release its first paid for product, which has at its heart research from Swinburne University and the University of Melbourne. Although the right culture and general executive approval can aid innovation – take Google's famous 20 per cent rule (which has since been abandoned – co-founder of CA’s accelerator, the company’s CTO Otto Berkes sought a repeatable pipeline, an “orchestrated and intentional approach”. Anyone in the company can enter, by coming to a program meeting with a one-page lean canvas of their idea. They then need to pitch the concept to a panel of senior CA executives. “They have an open pitching, so you put together a lean canvas. Basically you get 15 minutes to pitch, you put together an idea. They ask you questions for about 15 minutes then a decision is made for you to very quickly, as to whether they want you to proceed,” says KnowThings founder Anand ‘AK’ Kameswaran. “It’s a panel of judges, they ask you questions, you’ve got to convince some of the smartest, most distinguished engineers at CA that you’ve got a good plan to go forward. In my case they liked it,” he adds. If successful – like AK was – projects enter a Seed One phase where they are required to prove the problem exists and what people are saying about it, by interviewing at least 50 potential customers. “You do this over the course of a few months, very quick, very rapid, by going out and talking with customers, prospective customers, collecting data,” AK says. During Seed Two, they focus on proving their solution fits the problem with rapid pivots to keep them on course. Key to the success of the accelerator is the fact employees are permitted to dedicate their full-time to the effort and their positions are held open in the meantime: a concept known as Incubation Rotation. Salaries are funded by the office of the CTO. AK was a principle product manager within CA’s service virtualisation team when he put together the pitch. He now has a “extremely different” job as head of KnowThings. His old job remains open to him should things not work out. If they continue to show promise, projects advance to Startup Series A where they build a minimum viable product, recruiting a team of both CA colleagues and external hires. “It’s largely up to me to recruit and generate the right atmosphere and excitement and then CA smooths things over at the corporate level so the right team members can join if there’s a compelling reason to,” AK adds. Startup Series B focuses on solution-product fit and Startup Series C concludes with product-market fit. KnowThings is due to make a paid-for version of its product generally available in a matter of weeks. AK says he was into home automation before it was cool. “I have an electrical engineering background. So my nights and weekends while I was working for CA, I used to automate everything in my house, my garden, my kitchen, this is before the current swathe of home automation,” he says. “So I took the ideas of what we were doing within service virtualisation and mirrored that to the challenges I had, at a small scale, trying not irritate my wife and my dog when I’m turning on the lights at 3am in the morning because I’m trying to automate my house,” he adds. KnowThings is essentially IoT device virtualisation. “Our focus is making it easier for developers and QA to build IoT solutions. Our first product offering is around virtual devices. These are simulations of the devices at the edge of your network which you can use during development time and through the later QA cycle. So early on you can prototype devices that haven’t been built or there are not enough of them for all the stakeholders to interact with those devices. And as you move forward you can test deployments of a few hundred thousand before you go out to the field,” AK explains. “Even when you have enough things, there’s a tremendous cost in the data management the set up and tear down for tests. So when you can use a simultation or something which exists in software it greatly simplifies that practice,” he adds. The simulation is powered using patented machine learning algorithms, developed by researchers at Swinburne University and the University of Melbourne. CA and Swinburne have been collaborators since 2006. Their work together has been supported with a number of Australian Research Council linkage grants. In 2014 a research project led to the invention of what CA calls “opaque data processing”. Another grant awarded in 2015 focused on “virtual environments for improved enterprise software deployment”. The latest looks at machine learning driven service virtualisation. 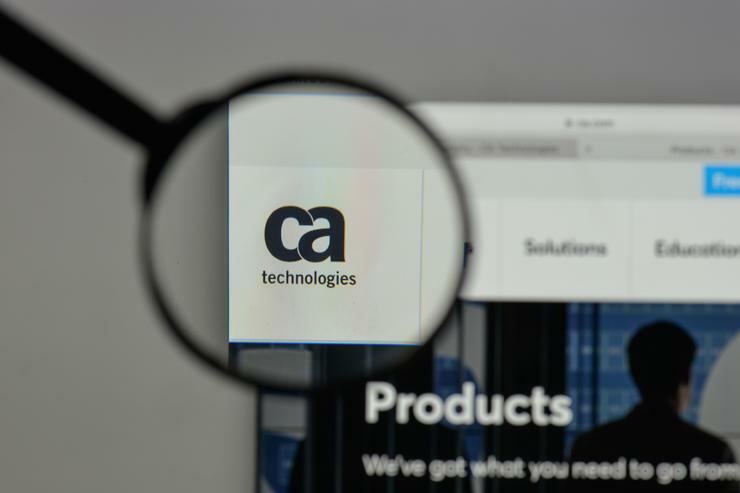 “Being in the CA office environment gives them a chance to talk to CA engineers and exchange expertise,” says Steve Versteeg, CA’s vice president of research. “It’s resulted in the core technology that KnowThings is using to do the device virtualisation. We’ve filed five patents around the core technology. Two have already been granted. And in total the collaboration has yielded over 30 papers,” he added. CA CTO Berkes gets genuinely excited about his accelerator’s start-ups. He knows firsthand how an idea dreamt up by a small bunch of engineers can change the course of one of the biggest companies in the world. He was one of four founders of the Xbox, whom in 1998 convinced Microsoft’s management that the company had a “unique opportunity to compete in the living room”. 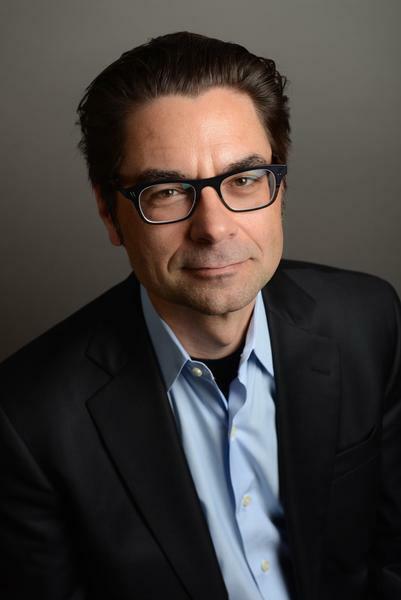 “KnowThings was especially interesting because the idea was to take technology from an existing product – Service Virtualization – and apply it to completely different customer problem, namely, reducing the complexity of IoT development,” Berkes told CIO Australia. Berkes is present for the incubating companies’ ‘3P’ (pause/pivot/persist) reviews. “Our team works very collaboratively so that we can capture and refine all the great ideas generated by our collective talent. Each of our incubations is exciting and unique in its own way. As a portfolio, they represent the future direction of enterprise software covering containers and microservices, developer tools, site reliability, and team productivity. Any customer problem that we have a chance of solving is exciting to us,” he said. After successful early-adopter alpha and beta releases, the professional paid version of KnowThings is coming out next month. It is crunch time for AK’s fledgling company, and he’s loving it. “I don’t think I’ve ever worked harder in my life, nor has it ever felt less like working. I’m maybe losing a few hairs, but it’s a trade well worth making,” AK says.